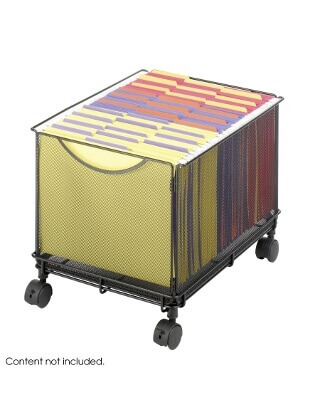 Durable, contemporary mesh creates practical organization. This letter-size mobile file cube keeps hanging files easily accessible while allowing storage under your desk or work surface. Collapsible drawer design makes assembly a snap. Easy storage and access is only a push away!